Whether you’re running a small or large, a new or old hydraulic system, filtration practices should be taken seriously. It is one of the best ways to prevent wear and costly repairs. 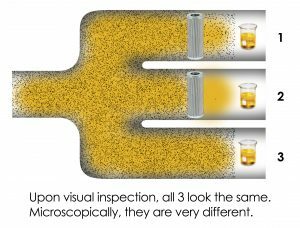 Thousands of articles have been published on the subject of hydraulic fluid filtration, and for good reason. Particulate contamination is the number one cause of equipment failure. Yet a lot of us don’t have reliable steps for monitoring our filtration system. Proper filtration is based on a number of factors, including, size of the system, flow rate, fluid type and viscosity and filtration placement, return lines, pressure lines or add-on filtration. The filter media and number of filters also play a large role in the decision making process. The filters can be high pressure or low pressure, cellulose or wire mesh/metal fabric and have different ratings which is important when meeting your target ISO cleanliness codes (discussed in a later edition). Changing the filters on a schedule may be too late or too early. Too late means your filter has gone into bypass and all the contaminates are going back into the system. Too early means that your filters haven’t reached their holding capacity, thus wasting money on new filter before it’s due. Check the filter indicators! Oil and water “don’t” mix. Water can be corrosive and create a biomass, especially when the system is idle. Installing a desiccant breather will eliminate the ingression of moisture (and particles) through the reservoir’s vent. You’ve had a repair or service. This often releases particles into your system which can quickly clog your filter. New hose or tubing installed? Use a tube/hose cleaning system or flush your lines. Changing your fluid? New fluid does not equal clean fluid. Use a filter transfer cart when adding new fluid or filter the fluid prior to adding it. Observe the operating temperature. The hotter the fluid the lower the viscosity. Lower viscosity means more friction, more particulates and shorter filter life. Higher than normal oil temperatures also point to system inefficiencies, component issues and eventually unplanned downtime. Filter size and placement. 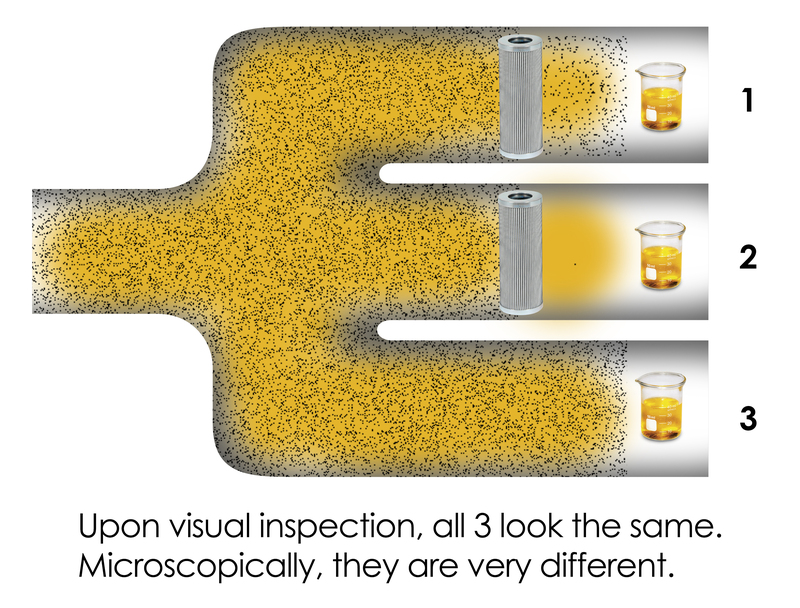 A filter is standard equipment, but improper sizing, micron rating and placement can mean disaster for your system. Have a fluid filtration question? Contact Advanced Fluid Systems. We can help you maintain a healthy and happy hydraulic system.